As has been the case in years past I will here look at some of the issues plaguing the Best Foreign Language Film nomination process at the Oscars. Since this year I am touching on a large array of interrelated topics I thought it best to post my thoughts in a series. To read the introductory post of the series go here. This is the driving force behind my writing this year. When you look at many of the top film producing countries in the world quite a few of them are multilingual/multicultural. Even countries of smaller population and film production have to balance choices of films in different languages, from different regions. With a Belgian film ranking high on my year-end list last year, along with my having seen many eligible for this year be they bi-lingual, in Flemish, French or a co-production; Belgium was clearly one of the motivating factors for me to even think of this oversight. 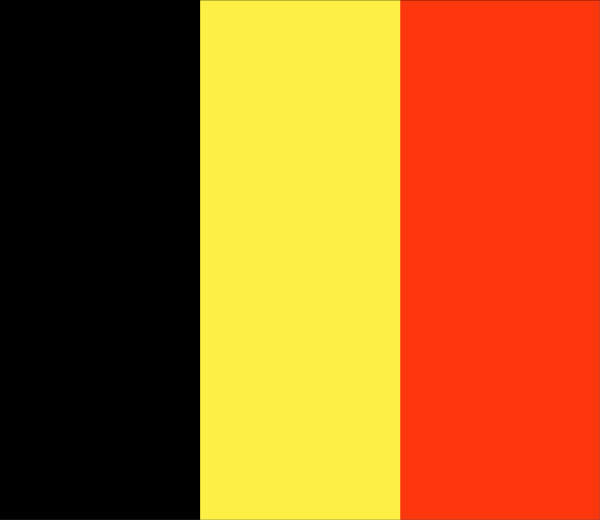 Belgium is a small country but not one without cinematic pedigree. Therefore, when you factor in the nation’s bilingual status selecting one representative film can prove tricky. “A jury of six film industry professionals chooses the submission from a shortlist of four preselected features. The four get to defend their case and one is then selected. Always keeping in mind if the film will stand a chance with the voters. In its history Belgium has had a fairly balanced slate of nominees in terms of language of the official submission (19 in Flemish or Dutch, 19 in French, 2 Bilingual) I agree that usually the better of the finalists is likely to have been opted for, but I think it’d be ideal (in a nation fairly equally divided linguistically) if there was a chance at an additional submission. There is a general acknowledgment the more I discuss the process with people that strategy, with regards to Oscar chances, does factor in. However, removal of national film bodies from the process does not seem to be the answer. I kind of have the same thoughts with regards to a votership with some members that would fill out a ballot like this or give rationale such as this when interviewed even anonymously. So no it won’t be perfect, but it can get a little better, and the committees internationally have their place but they can get help. The interesting thing with regards to Canada is that Fast Runner, a tale about the Inuit people in their native language, not only created a new spin on neorealism at the very tail end of the 20th century, but though it was that it was 1999 release, and an Academy Award nominee six years before the Academy waived its “Official Language” rule. Now when I hear the term ‘Official Language’ I get extraordinarily literal. The official languages of Canada are English and French. After all being an Official Language, especially in a nation that’s officially bilingual, usually carries with it quite a few stipulations. However, how can one claim that a language spoken by a First Nation doesn’t qualify as an “Official Language”? I know I wouldn’t try. Presumably the potential for disqualification was discussed and seen internally as a non-issue, I would’ve been inclined to try to talk to the Academy about it (if they’d answer the question). Though not a language concern, I kind of saw the Czech Republic’s disqualification coming and am not sure why that film was submitted in the first place. Therefore in 1999-2000 I would’ve been paranoid about submitting such a film and done all I could to make sure it’d count. I made contact with a press agent for the production company that made the film but they had no substantive comment on the matter save for the fact that they did communicate with committee members in Canada leading up to the selection. Regardless, Canada, as well as any other nation with an indigenous population, is a country that one may not often think of when the prospect of strong candidates in different languages emerging from the same nation. The third film in the series, Before Tomorrow, was not an Academy Award nominee but one of my top 10 films of 2009. When it struck me that language was another potential barrier in the one film/country rule that the Oscars are holding steadfastly to, India was clearly one place I thought of that may be hampered by such a stipulation. Bollywood is the world’s biggest film industry, but not unlike the US and other nations there is an indie and regional scenes. Combine that with the fact that there are myriad cultures and dialects and you have a maelstrom of possibilities and potential pitfalls in the selection process. What essentially happened was a massive ego clash.The Lunchbox was a well made film but so was The Good Road, India’s entry into the Oscars. When the latter was chosen to be the official entry into the Oscars, chaos ensued from the opposite camp.It was produced mainly by Anurag Kashyap’s AKFPL which is a big enough production banner in India. What I couldn’t comprehend was, even though your film wasn’t chosen, you should be humble enough to respect the one which was selected. Instead, they took to Twitter saying how utterly “flabbergasted” they were when the news of the selection came out. That is reprehensible behavior in my books. Respect the other and move on! Try to rectify your errors and eradicate them in the future. Instead they chose to attack the jury et al. Some people never learn. So it appears that while one film was a Mumbai-set Hindi film and another a Gujarat narrative this “controversy” was inflamed more by professional discourtesy than by any perceived regionalism. Yet Abhirup echoes sentiments I have about “accommodating more multi-cultural nations” and also that “international co-production should be encouraged.” Which all points both toward how films are moving and to how the Academy is out of step in this regard. I feel that with the simple changes I will propose that perhaps even this clash could have been avoided. Part 3 will go live tomorrow!